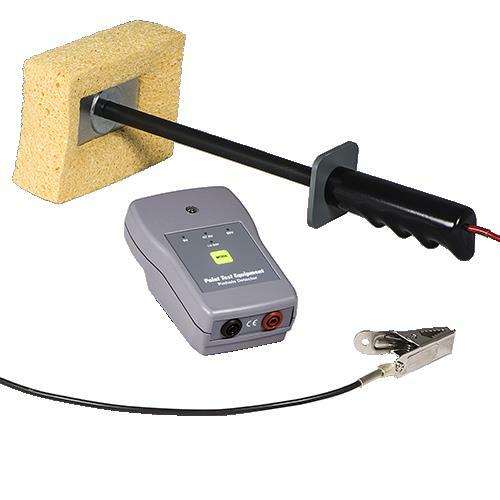 The Pinhole Detector uses the wet sponge principle to detect through-pinholes, cracks and damaged areas on non-conductive coatings on conductive substrates. These flaws would eventually lead to corrosion and premature failure of the coating. 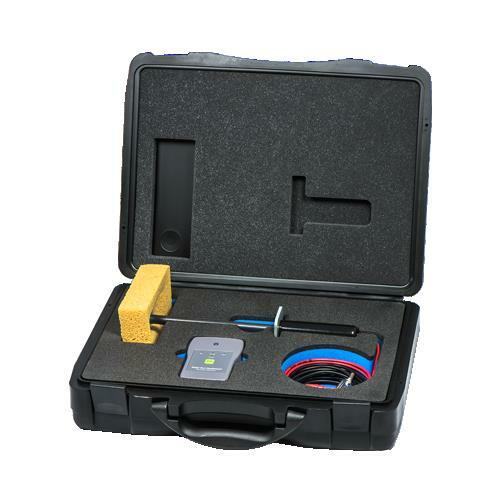 It is supplied in an industrial carrying case with sponge assembly and 5m earth cable. Calibration certificate is an optional extra.